To reduce the appearance of acne scarring on this woman in her 40's, Dr. Ricardo Rodriguez performed Fat Transfer, also called Fat Grafting or Fat Injections. 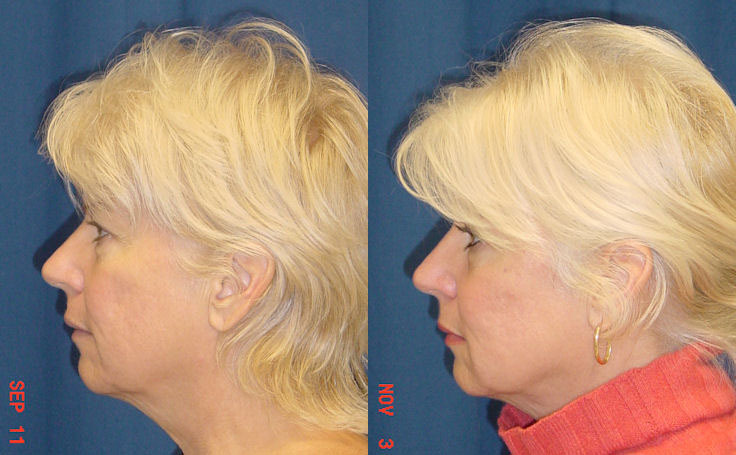 Dr. Ricardo Rodriguez performed Fat Transfer (Fat Grafting) to the face on this woman in her 40's. In her after photos you can see that the fat injections lifted areas of her facial structure and improved some acne scarring. 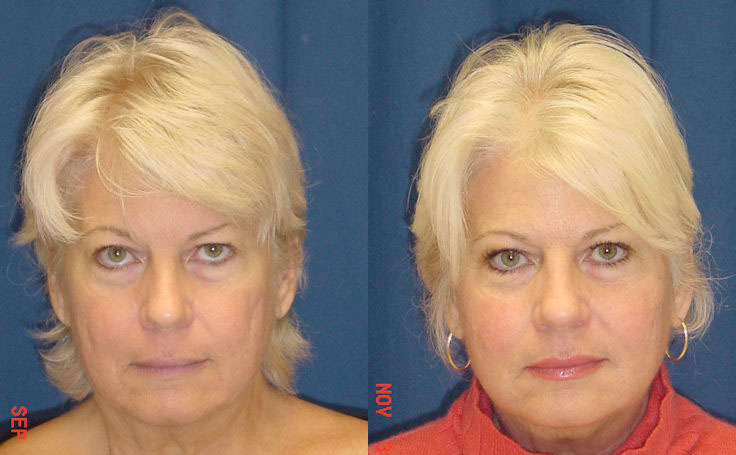 The procedure also gave her face a more youthful and glowing appearance. Fat injections can be done under local or sedation anesthesia. Fat is harvested from unwanted areas, processed in a special centrifuge, and then reinjected into the desired area. With proper, skilled technique, a large percentage of the fat transfer will stay and the face will fill out to look more youthful. To learn more, see our video about using Stem Cells from Your Own Fat.